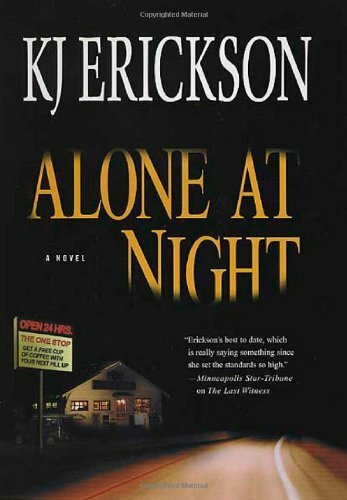 Reassigned with his partner, Nettie Frisch, to Minneapolis's Cold Case Unit, Mars Bahr misses the adrenaline rush of the homicide squad-until a look into a string of old convenience store murders turns up the file of Andrea Bergstad, a beautiful teen working alone at night in a desolate rural store when she disappeared. Was Andrea abducted and killed? The evidence is scanty: a fuzzy surveillance video, her last call to a girlfriend, and an anonymous phone-in to the police that the store was empty. But it's enough for Mars to convince a crime-finders TV show to appeal to the public for new leads. And among the screwball responses is one sizzling hot tip. "Another absorbing mystery...Erickson's writing keeps this police procedural anything but routine. It's good to the last page." "Erickson is in command all the way in this taut, suspenseful and cleverly conceived twister."